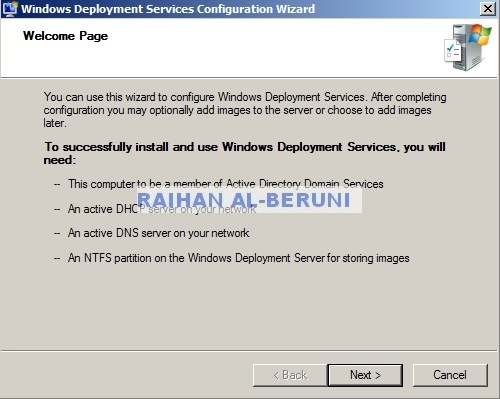 Download Windows Automated Installation Kit (WAIK) and installed in WDS server. 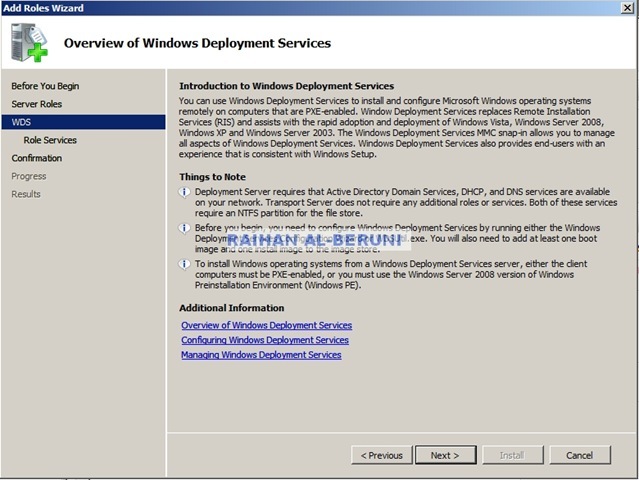 Step2 Install WAIK in WDS server, In windows 2008, you don’t need to install .net framework 2.0. Its inbuilt. 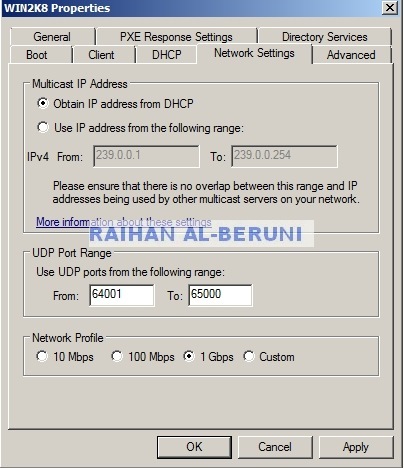 Insert WAIK DVD in WDS server and install WAIK. nothing special, install as you install an ordinary application. 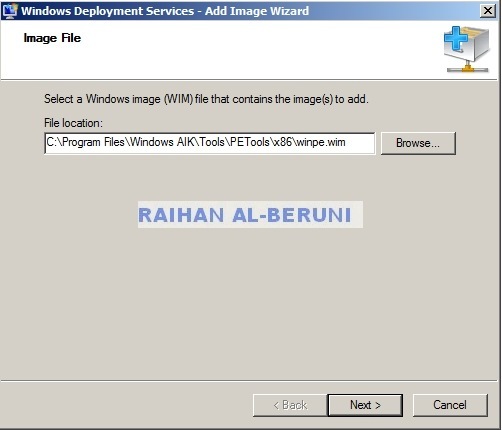 to add x64 bit winpe.wim in boot image, WDS>right click on boot image>Add boot image>Browse and navigate to C:\Program Files\Windows AIK\Tools\PETools\amd64\WinPE.WIM and add this image. 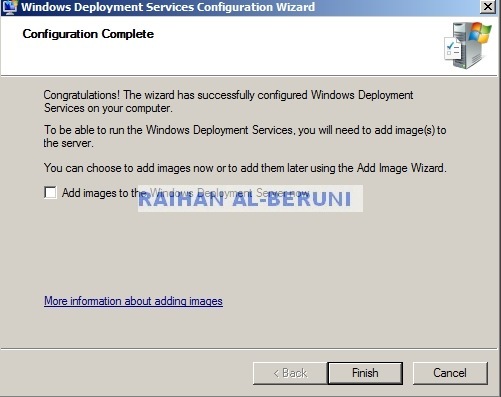 Now make image group in WDS. 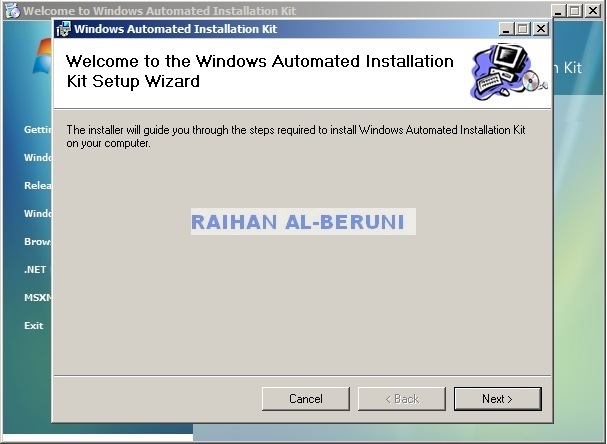 Step4 Install Windows 7, prepare it by installing desired application. 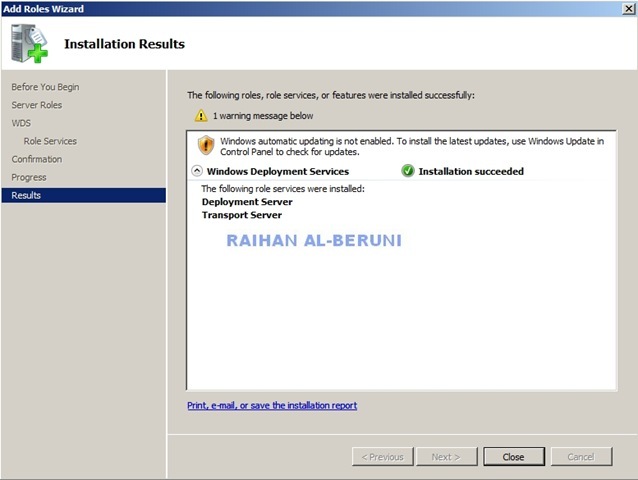 Log on to Windows 7 computer as an administrator. Navigate to c:\windows\system32\sysprep and Run sysprep.exe /oobe /generalize /reboot from command prompt. be careful of this reboot to capture the image, if not you will need to re-do Sysprep. Press F12 to initiate a session the WDS Server. 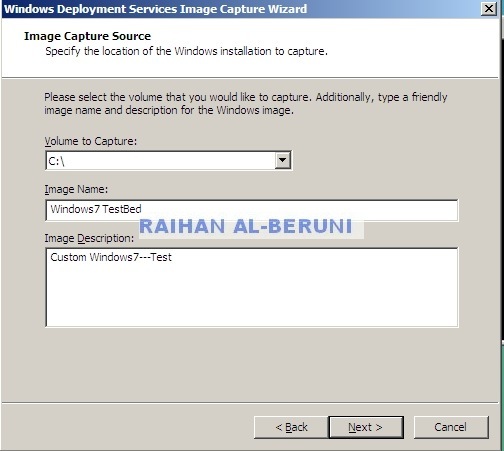 Select capture Image option. 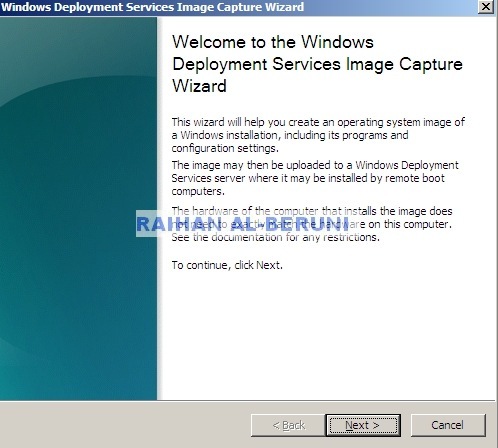 On command prompt as shown above screen, type WDSCapture and hit enter key. 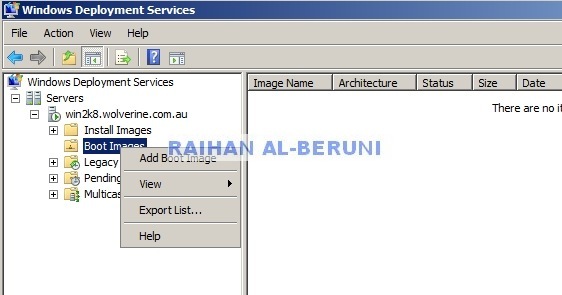 Upload image to WDS server, click on connect, provide credentials if required, select Image group and name it. Once image capture is done. 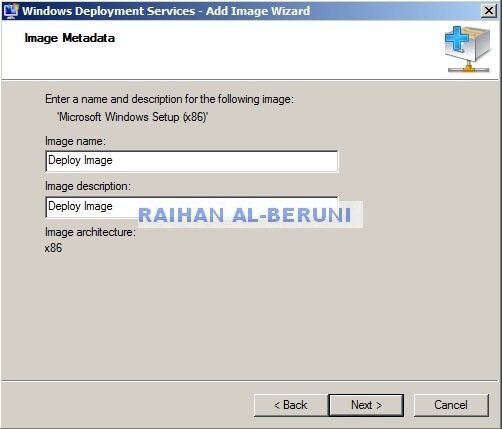 navigate to WDS console>Image group>right click on windows7 image>property>check allow image to install in unattended mode>select file> browse and navigate to unattended xml file prepared using WAIK. 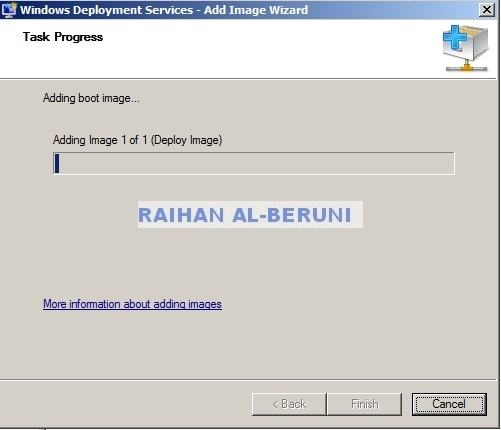 Step5 to deploy this image boot similar workstation and press F12 to PXE boot. 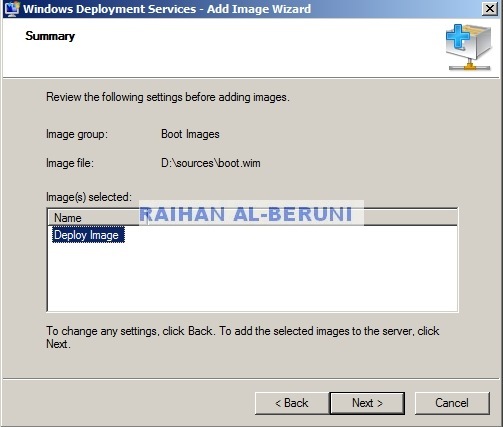 Select deploy image option>select group>select image. Didnt work for me. When i type wdscapture on the commandprompt it gives an error saying that the command is not recognized. 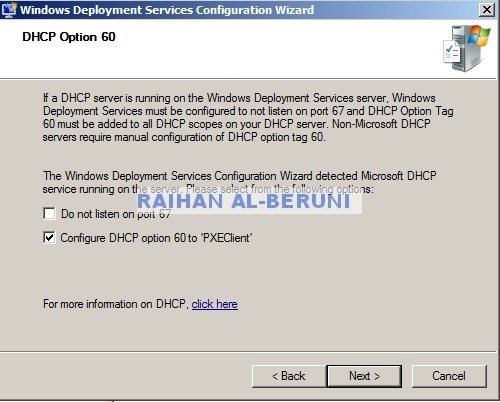 Did you added proper WinPE.WIM in your WDS server? 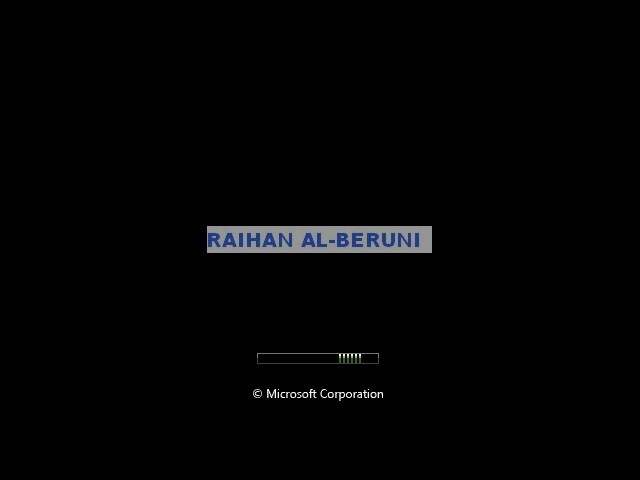 I need to mention that i am trying to capture an x64 version of win7 enterprise rtm..i do have x64 boot image. 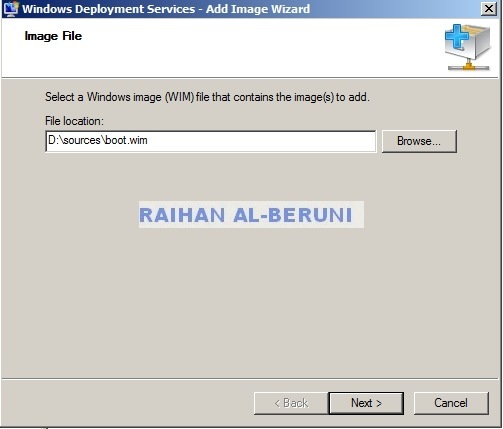 Check Both boot images in WDS you have installed. It worked for me without any trouble it should work for you also. 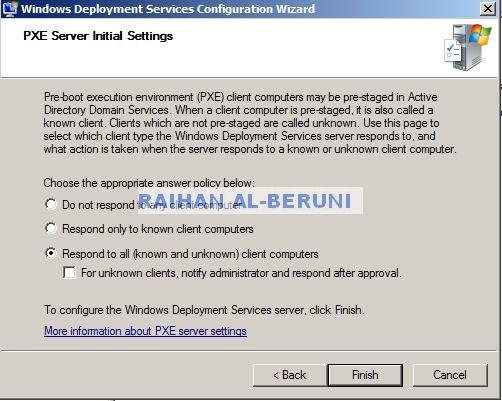 WDS is fresh install or Upgrade from RIS? wds is fresh. I do exactly what is told. 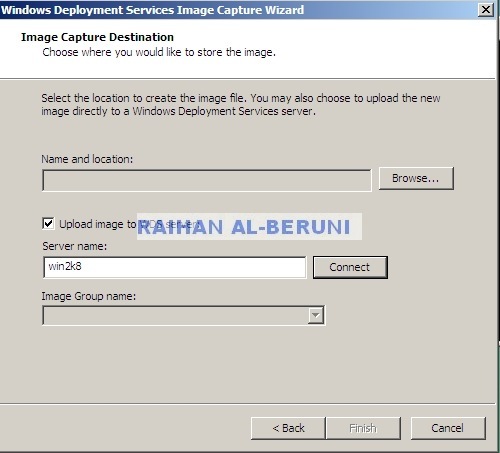 what about the “create capture image” option. ? is it useless ? it worked now. seems like the waik i was using is the latest one and had problems. anyways wdscapture worked but this time i dont see C:\ as the source. and yes i did sysprep the machine (windows 7 enterprise x86) any ideas ? unfortunately, you have to re-do sysprep and start capturing again. Make sure press F12 before it boot to windows. This time it should work. X86 or X64 doesnt matter. i perform sysprep the way you explain in the article. all the computer sare running on hyper-v. thats no problem right ? I did same way. so no problem.